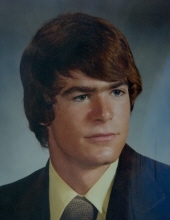 Mark L. Thornton, 57, of Jacksonville, NC, formerly of Syracuse, passed away Friday, February 8, 2019 following a battle with cancer. Born and raised in Syracuse, he moved to North Carolina in 2005. Mark graduated from Bishop Ludden High School and was a property manager at the Fox Creek Mobile Home Park in Jacksonville, NC for 14 years. Mark was predeceased by his brother, Joseph Jr., in 2013. Surviving are his son, Mark of Central Square; parents, Dr. Joseph and Joan of Camillus; sisters, Dr. Joan Thornton of Syracuse, Patricia Burnham of Fairmount and Susan (John) Alberts of Onondaga Hill; brothers, Michael and Thomas, both of Fairmount; companion, Heather Gouse of Jacksonville, NC; and several aunts, uncles, nieces, nephews and cousins. Relatives and friends may call Tuesday, February 12 from 4 to 6 p.m. at the Buranich Funeral Home, 5431 W. Genesee St., Camillus. A funeral Mass will be celebrated Wednesday, February 13 at 10 a.m. in Holy Family Church. Mark will be laid to rest in Greenlawn Cemetery, Warners. In lieu of flowers, contributions may be made to Francis House, 108 Michaels Ave., Syracuse, NY 13208 or to the Holy Family Outreach Ministry, 127 Chapel Dr., Syracuse, NY 13219. To send flowers or a remembrance gift to the family of Mark L. Thornton, please visit our Tribute Store. "Email Address" would like to share the life celebration of Mark L. Thornton. Click on the "link" to go to share a favorite memory or leave a condolence message for the family.